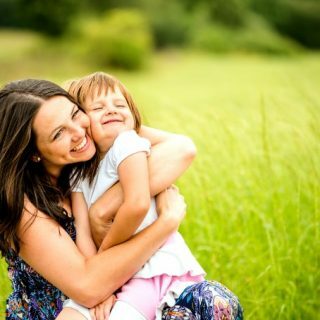 As a parent helping your child learn is one of the most important things to you, and sensory play is a fun and engaging way for your child to excel in many different areas. Sensory play encourages scientific processes because problems are solved using the five senses: sight, sound, smell, taste, and touch. By stimulating your child’s senses, you are helping them develop creatively, socially and emotionally, cognitively, linguistically and physically through simply playing with them. You have probably seen your child play with the most inexpensive “toys” like a paper towel roll, a pot and a spoon, or straws. Your child is using anything and everything to explore the world around them and encouraging this behavior will benefit you and your child by letting your child explore and create and giving you the opportunity to discuss what is happening in any given project. 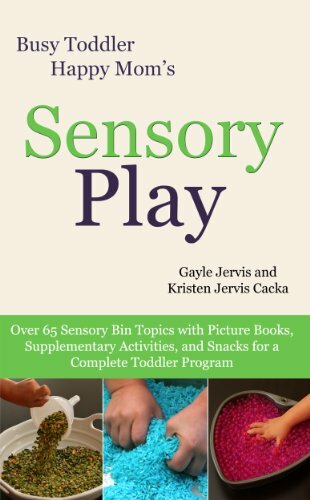 Sensory play is not only important for babies and toddlers, who often have the time to play and explore at home, but also for preschoolers and elementary children. When your child is allowed to use multiple senses to accomplish a task, they will learn more from the experience and retain more information. This ideal does not change as you get older, even adults retain more information when multiple senses are engaged! Even you are creating new neural pathways in your brain when engaging in sensory play, which can help negate Alzheimer’s(1), assist in creative thinking, problem solving, and time needed to respond to a catastrophic situation (2). Creating time for your child, of any age, to engage in sensory play is imperative for their long-time learning and health. So how do you start integrating sensory play into your everyday life? The good news is it is simple! By taking objects that you already have in the house you can create many fun experiences for you and your child. For example, take a colander and spaghetti noodles (or pipe cleaner) and challenge your child to put the noodles in the holes. They will be drawn to this experience and will start to develop basic motor skills as well as problem solving skills when they break the spaghetti noodles. For older children play-doh and fondant are great ways to teach sensory play, as well as skills that your child can use in the future such as baking a cake. Fondant can be used to make beautiful designs, but it takes time and patience to get the results wanted, both are needed skills in everyday decision-making and life. Here are over 65 sensory bin topics you can incorporate into the sensory play with your little one. These are also great activities to teach toddlers about colors, shapes and sizes. For tips on handling the mess, more sensory ideas, and using American Sign Language with your child (also great for sensory play!) visit imaginationsigning.com.